So this is what I did today. I woke up, checked social media, ate porridge, played with Roger and Rose, got ready, tidied the house, discussed the fact that I would quite like to lose about 3-4 kg with myself and then went to eat a deep fried chicken burger. The burger that I speak of was from Salt. Now this is an Emirati brand that I have been following on social media for a few weeks. 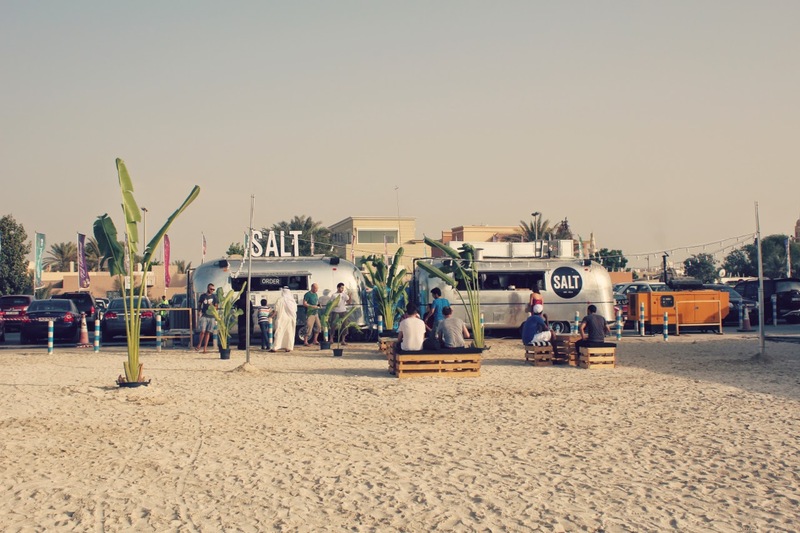 As a food truck concept they travel around the UAE and are never in one spot for long. This obviously makes them infinitely cooler than your average burger joint and I have been determined to locate them. After a tip off from Laura I headed over to Kite Beach in Jumeirah and sure enough, there they were. The menu doesn’t seem particularly innovative at first glance – wagyu burgers and fries – but there are a few details packed in there that make all the difference. 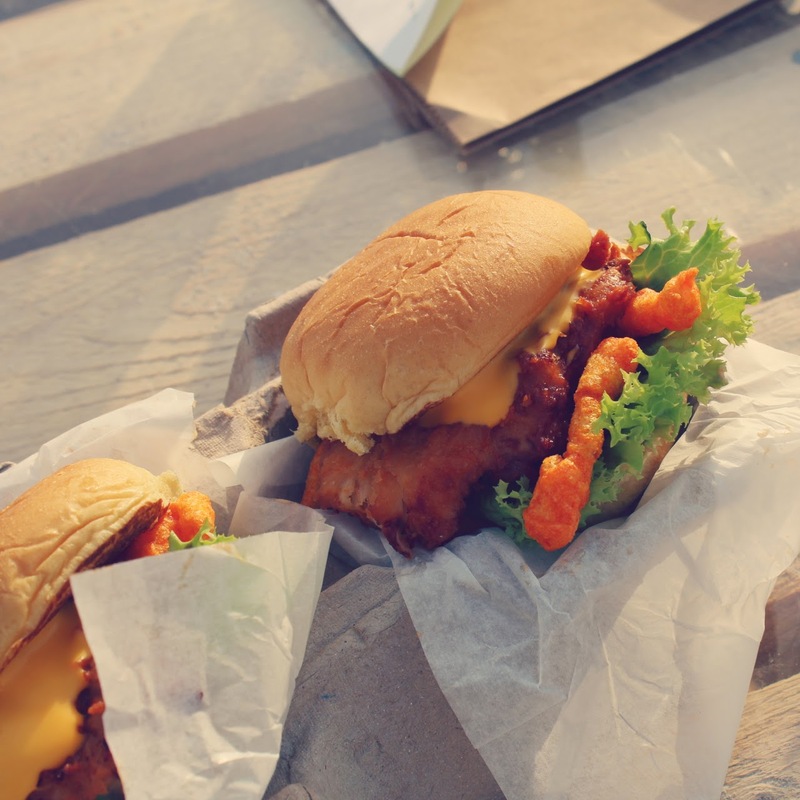 Probably the most famous/most WTF dish is the Cheetos slider. As a cheetos lover I am totally on board but it’s not your everyday combination. Let me tell you that it was absolutely delicious. 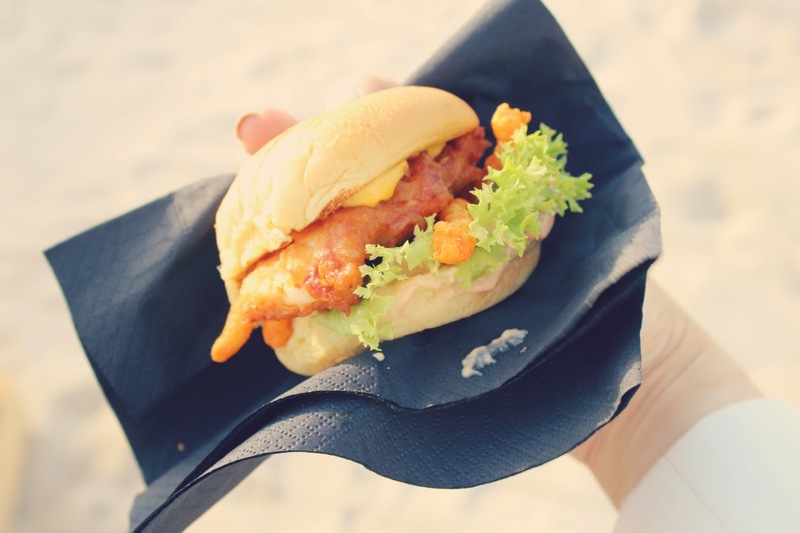 The Cheetos soften within the bun and create a chewiness and texture that marries well with the chicken. I absolutely wolfed it down. I love concepts like these. 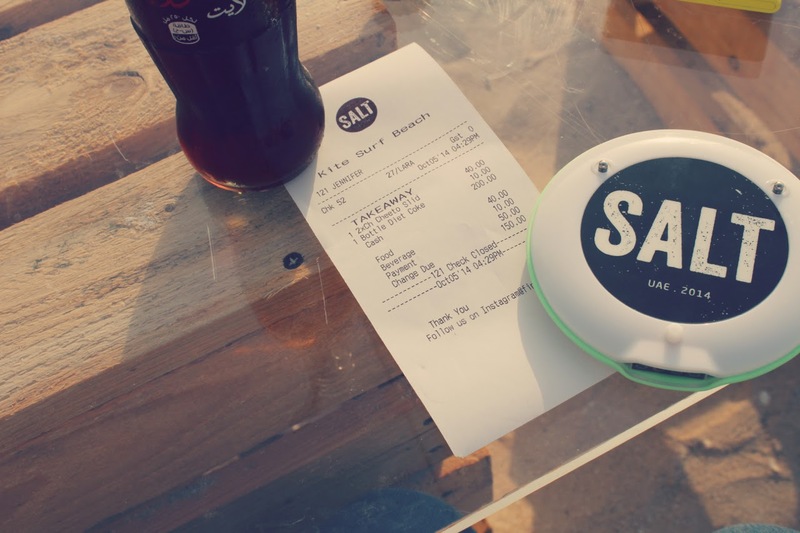 Nice branding, clever marketing and good simple, well-priced food. 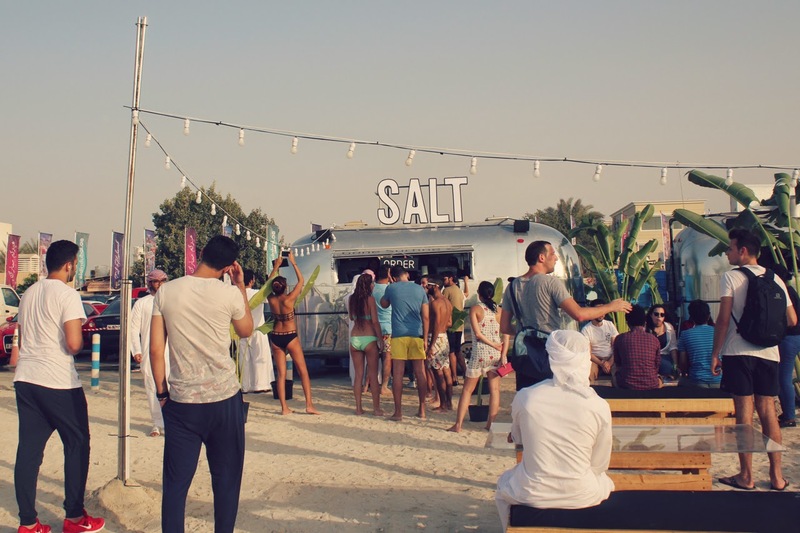 I really hope this is the start of more food trucks in the UAE. We just don’t have that scene yet and it’s a great way to support original non-chain restaurant businesses. I have my fingers firmly crossed! Now in order to ensure that this post is not entirely focused on Cheetos I will throw in a quick outfit segment. 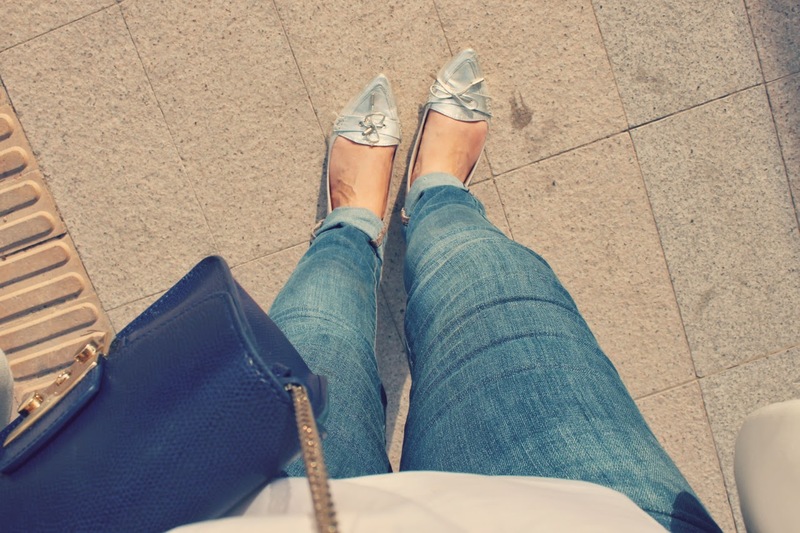 Sometimes all I want to wear is jeans and a white top…well not really sometimes, actually a lot of the time! It’s comfortable and also surprisingly cool. The top is a basic from ASOS. I had the black and then I reordered another one in a value pack of two colours. The material is outstanding – it works well under a suit/with jeans but even better than that, it can be wiped clean! Yes that mayo on your burger that drips ungainly down your top can be eradicated with a swift wipe. Outstanding! It will seem like a very boring thing to order but trust me, you will wear them constantly! I'd love to see a perfume post! I really like oyur hair this length :) I'd like to see the perfune review first, I've not been very into nail polish lately! love your photos, that burger looks amazing! I have that "need to lose a couple of pounds" talk with myself weekly then is followed by indulgence.. Burger looked great. OMG! That burger looks amazing!! That burger looks incredible! And I always enjoy some good nail polish chat. Oof this looks amazing! Wish we had this over here in New York...must get to Dubai soon! Oh I so wish this was in my country. Australia doesn't food truck at all yet. Wooowww....thats sound a great time! These food trucks look super cool. Definitely need to chat nails next Laura!!! Giveaway on my blog - Win a pair of Ray-Ban's of your choice! Yum, sounds delish. Totally loving your hair btw. The burger looks delicious it actually made me a little hungry. Last time I was at a truckeroo I stood in line for 2 hours for a sandwich that didn't meet my hungry expectations. You look great! Loving the Furla bag! You have a really lovely Blog. Do you want to support each other and follow via GFC? A 'deep friend chicken burger'? Sure this typo is fueled by hunger mixed with a bit of love, isn't it? Fab post! The burger looks A-maz-ing! I need to find salt asap!! Oh I really love your new hair cut. Très chic!